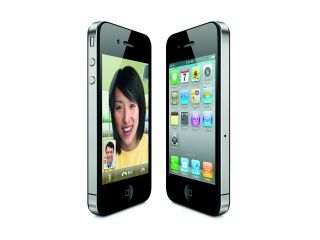 Steve Jobs used the new iPhone 4 announcement to announce a tweak to the iPhone ecosystem - from iPhone OS to iOS. The new move means the likes of the Apple iPhone 4, iPad, iPhone 3GS and iPod Touch will all be using the new platform, rather than the iPhone leading the pack. The new operating system brings a number of updates as we've already detailed, but Jobs used the keynote to show how they worked within the new iPhone 4.
iAds was shown fully working, with a cool Nissan electric car application wowing the audience (well, as much as a new advert for a car you plug in can) and Jobs said that advertisers have committed $60 million to the iAds platform. Folders were also demonstrated, with the ability to rename groups of applications as you see fit, and the iBooks application was also shown off with a few tiny upgrades like being able to read PDF files. We're hoping this renaming will herald more iOS devices... could we see Apple TV running the same applications as the iPhone 4 in the future?